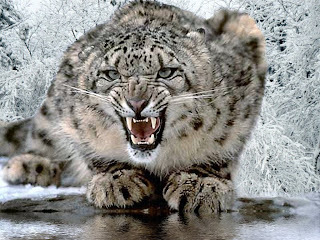 Snow Leopard - Don't Do It! As most of you know, Apple released their latest OS, Snow Leopard, last Friday. I’m as excited as you are to get my hands on it and give a run for its money. Whatever you do, please don’t install Snow Leopard on your SRG computer. Apple is notorious for disregarding backwards compatibility, and Snow Leopard is no exception. Several articles have already been published outlining issues with a variety of software and hardware that worked just fine with Tiger and Leopard. When we build an SRG machine we have a lengthy checklist of steps we take to customize the configuration to your work needs. Simply put, a rogue OS upgrade will screw up our hard work, and create a major headache for you. The last person (who will remain nameless) who attempted a rogue OS upgrade paid dearly for it as they were forced to deal with the rotting fruits of their misguided labor. The IT Team was completely unsympathetic. We are all about adopting new technologies, once they are proven to work in our environment. Patience pays.